Bridgemead was very privileged to welcome Bath All Comers Orchestra on a beautiful sunny evening. 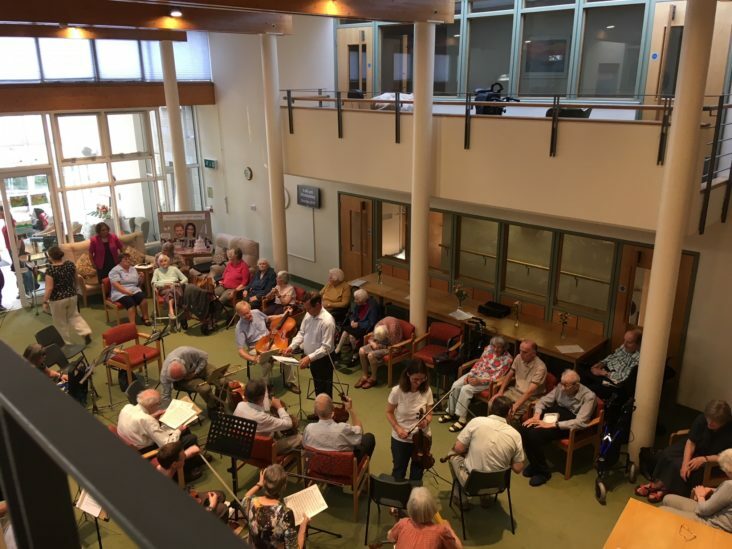 They performed a lively selection of music from Handel to a Polka for our residents and staff. 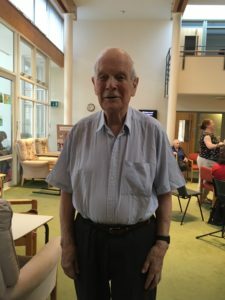 Peter Bazire, aged 87, has played the violin for 6 years with Bath All Comers Orchestra and prior to that for 45 years with Bath Symphony Orchestra. He learned to play the trumpet in a Japanese Prisenor of War camp as a young man. It was a lovely evening and Bridgemead were delighted to have the orchestra play for all the residents.